How Far is TRICITY SYMPHONY? 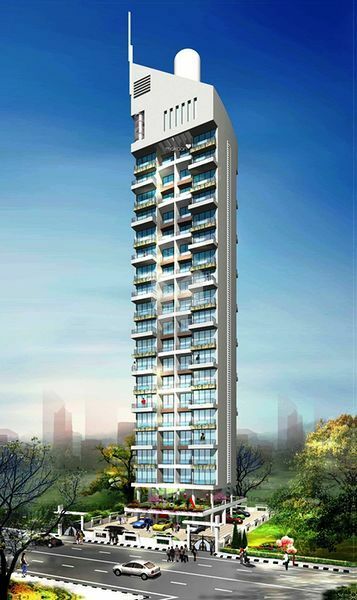 Tricity Symphony is a palatial 19-storeyed residential tower coming up in the affluent neighbourhood of Kharghar, the whole place is seeped in luxury and wrapped in exclusivity. The arresting elevation of Tricity symphony leaves a strong impression on one's mind, that's rivaled only by luxuriously crafted 2BHK flats. Tricity Symphony awaits a pleasant surprise for you. 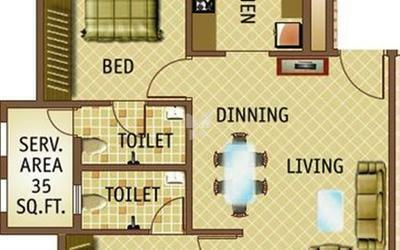 There is a Harmonious blend of aesthetics and practical living. Here, while the Heart looks for and finds colors, tranquility and ambience, the Head finds realistic living spaces, contemporary amenities in opulent settings, culminating into cross ventilated apartments, worth owning and living in. Kitchen Granite moulded counter with Nirali sink and exhaust fan. Staircase Full marble mounded staircase till Top Floor. Toilet Coloured Sanitary ware with Johnson or similar tiles up to 7 feet. Exhaust an in toilets and geyser in bathroom. Wall Complete apartment POP finish with Plastic paint. Electrical Concealed Copper Wiring and circuit breaker. Windows Powder coated Heavy aluminium sliding with tinted glass and moulded granite sills.